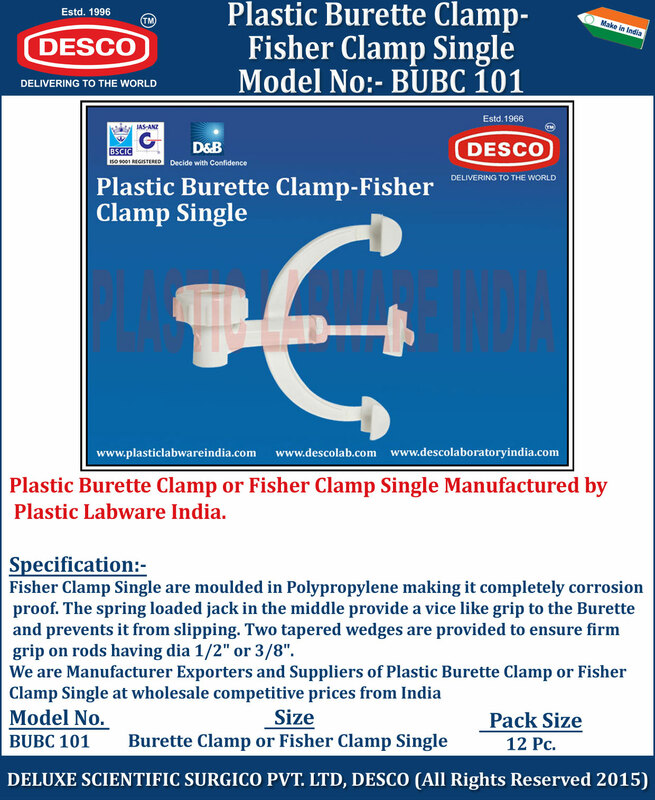 Fisher Clamp Single are moulded in Polypropylene making it completely corrosion proof. The spring loaded jack in the middle provide a vice like grip to the Burette and prevents it from slipping. Two tapered wedges are provided to ensure firm grip on rods having dia 1/2" or 3/8". We are Manufacturer Exporters and Suppliers of Plastic Burette Clamp or Fisher Clamp Single at wholesale competitive prices from India. BUBC 101 Burette Clamp or Fisher Clamp Single 12 Pc.